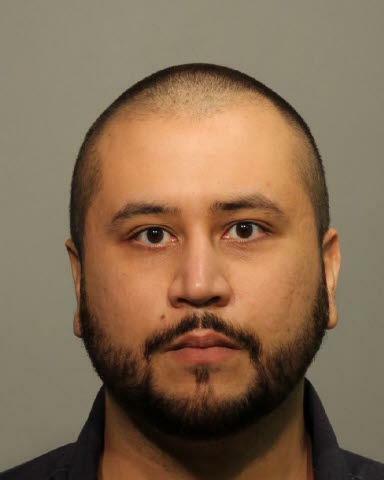 George Zimmerman charged with aggravated assault. Zimmerman’s booking photo from his arrest in Lake Mary, Florida. George Zimmerman, who was acquitted in 2013 of shooting and killing unarmed black teenager Trayvon Martin, won’t be able to stand his ground for a while. He was arrested late Friday night on charges of aggravated assault and domestic violence with a weapon, reports CNN. The 31-year-old Zimmerman was arrested by the Lake Mary Police Department at 10:10 p.m., according to the John E. Polk Correctional Facility’s website. Zimmerman appeared in court Saturday morning, and a $5,000 bond was set. Judge John Galluzzo gave Zimmerman until Tuesday to surrender his firearms and said he must appear in court by mid-February, reports the Orlando Sentinel. This only marks the latest in a string of arrests and troubles with the law since the Martin case. Zimmerman had previously been arrested on claims of aggravated assault and domestic violence battery and criminal mischief. His girlfriend then asked the charges to be dropped. In September 2014, a man claimed Zimmerman threatened to kill him during a road rage incident. He refused to press charges.